I have yet to cut this as the maslow arrives next weekish, but prepping all the projects. The back panel will be a mix of trim and a decorative hardboard and are more of there for reference. I tried to variable the onshape file so that thickness of the plywood and the width of the bench itself can hopefully be changed easily and the rest of the parts will change with it. 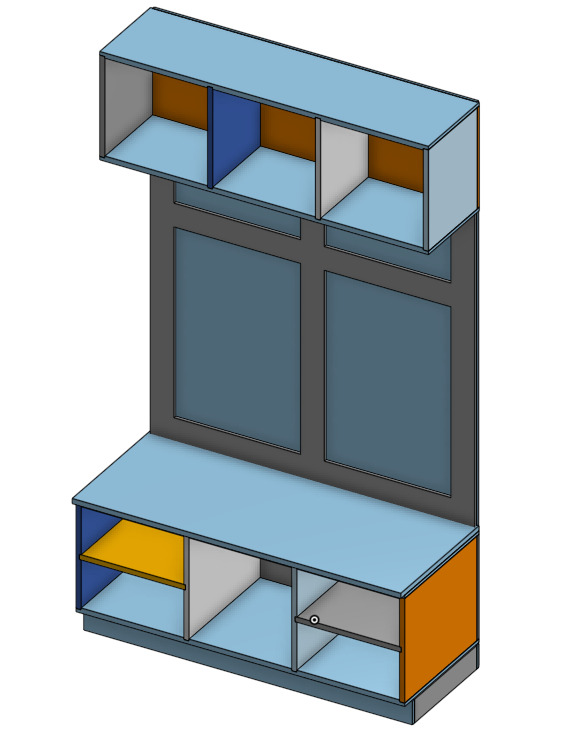 Lastly, I'm a software engineer with 4 months of a CAD class 10 years ago, so pointers and tips would be awesome, everything is dado/boxjointed, working on a feature script hopefully to do hidden tenon box joints.